Ahhh Christmas, the time of joy and happiness and ugly sweaters. 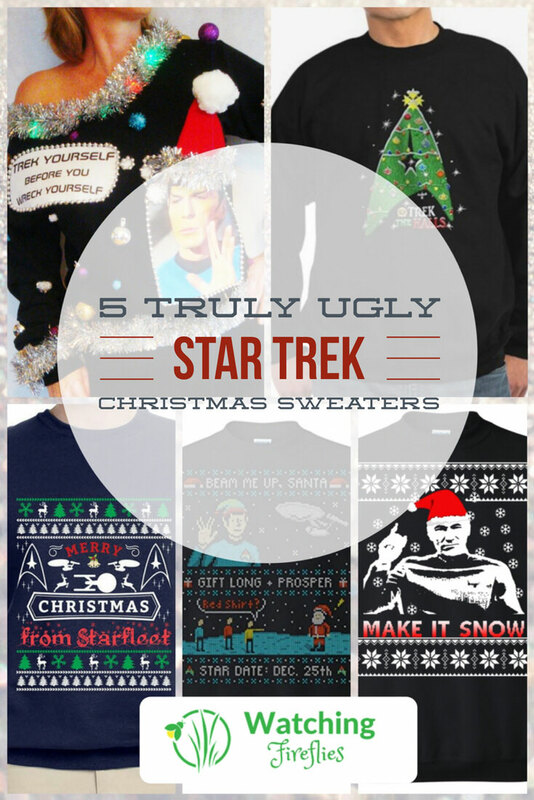 For fans of Star Trek, this year can be extra special with one of these special Star Trek Christmas sweaters. I really think fans are going to love some of these. I don’t need to explain the reference on this Christmas sweater. Any fan of TNG will love this one. 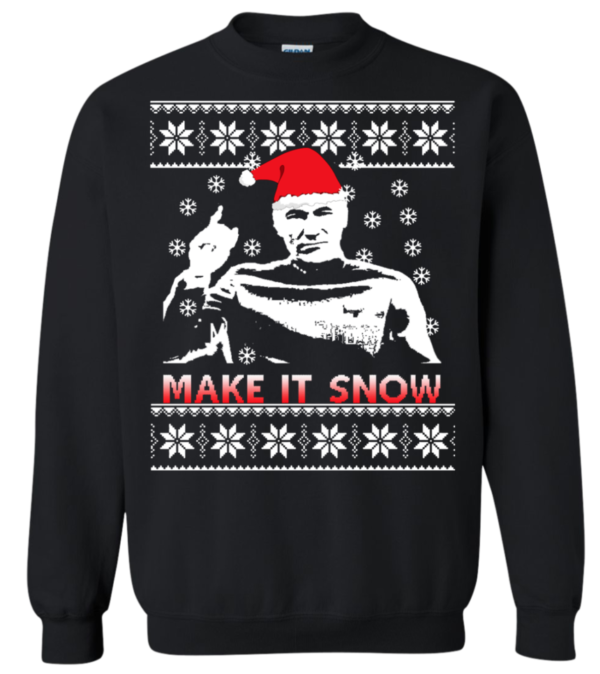 Nothing says Christmas more than Captain Picard in a Santa hat telling us to Make It Snow. You can pick up this shirt from iFrogTees. So much Trek goodness on this Ugly Star Trek Christmas sweater, although to be honest I actually think it looks pretty good. 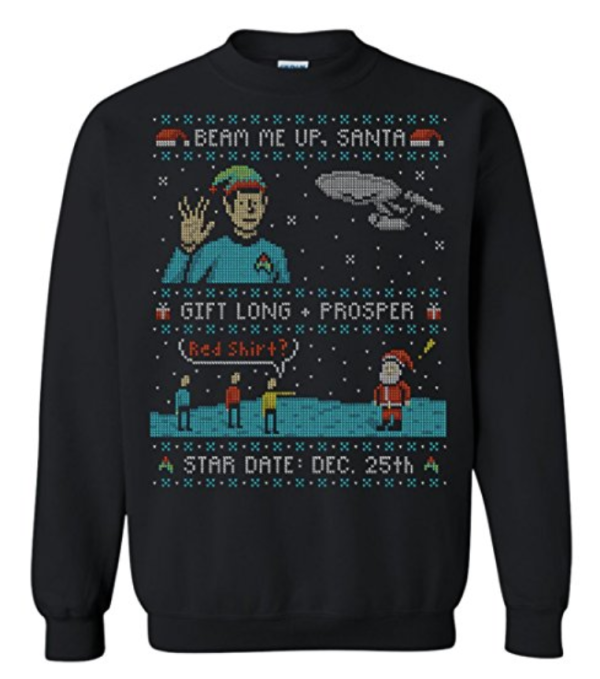 From Beam Me Up, Santa to Gift Long and Prosper, this sweater has some great Star Trek play on words for Christmas. You can get this sweater from Amazon. 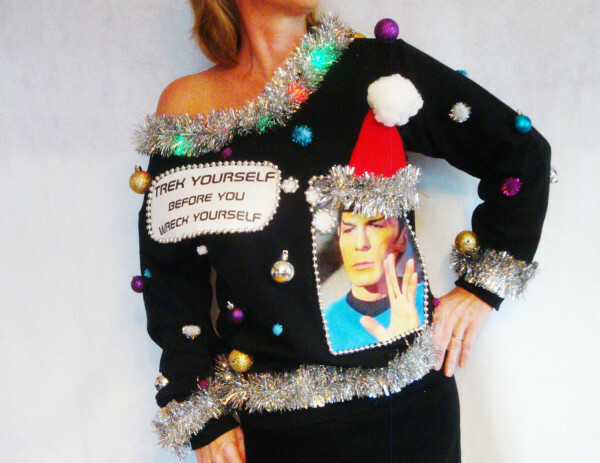 I looked at a lot of ugly Star Trek Christmas sweaters when compiling this list and this sweater by was was the ugliest. No need to describe this one, just look at it and you will see what I mean. You can grab this sweater if you really have to have it from TaborsTreasures Etsy store. 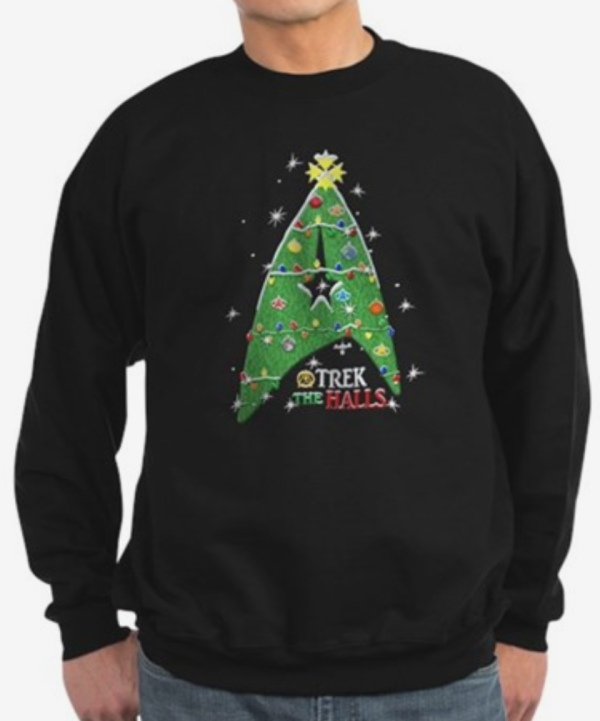 Forget Decking the Halls, let’s Trek the Halls with this cool Star Trek Christmas Sweater. Replacing the traditional Christmas tree with the Star Trek Insignia this ugly Christmas sweater is bound to put a smile on any Trek fans face. You can pick up this sweater from CafePress. This sweater brings a bit of the traditional ugly Christmas sweater look a Star Trek Christmas sweater. 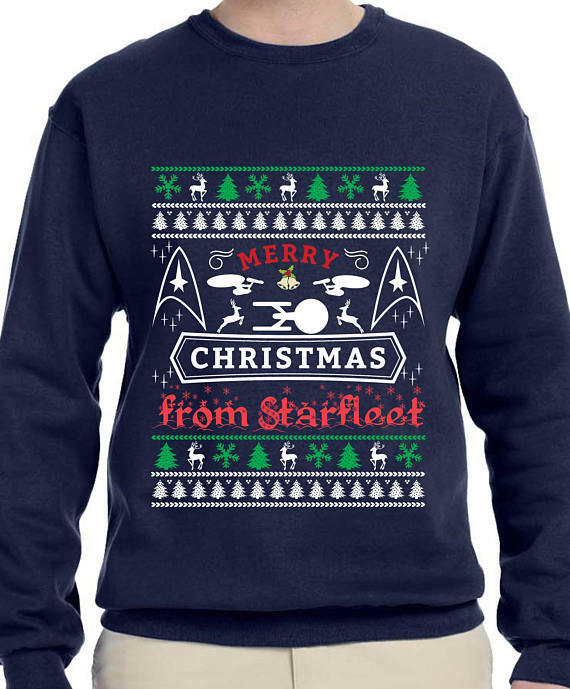 A picture of reindeers and the Enterprise adorn this sweater with the festive message ‘Merry Christmas from Starfleet’. You can pick up this sweater from RudeMonster’s Etsy store.